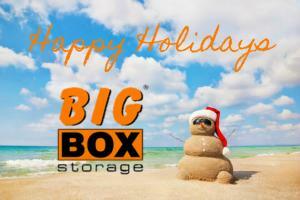 We love the holidays here at Big Box Storage! The parties, food, and decorations... It really is the best time of year. Nothing beats being with friends and family, eating homemade fudge, and giving presents to loved ones. (We think it always feels better to give than to receive). It’s always nice when you have a friend who will tell you if you look great, or when you have salad stuck in between your teeth from lunch. 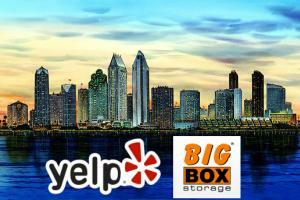 Yelp is that truthfully honest friend for us here at Big Box Storage. Read more about We have a Love/Love relationship with our Yelpers! Everyone is justifiably looking to save a dollar wherever they can. With that in mind, companies are constantly offering different sales, promotions, and discounts to attract your business. Self-storage facilities, in San Diego and elsewhere, are no different. If you have been searching for a storage unit rental lately, you’ve likely noticed a wide range of different discounts being offered. Although some storage companies do steer clear of any promotions, the vast majority participate. 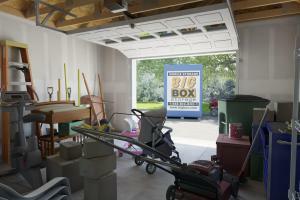 At Big Box Storage, we’re not just another sprawling concrete storage facility in San Diego. We provide what’s called ‘Portable Storage' to meet ALL your storage needs. As the name of the service implies, “portable storage” is actually a service in which a storage unit is delivered right to your address. Once you’ve finished loading the unit, we’ll then picked up for secure storing within our local storage facility where it can be accessed whenever needed. For the fifth consecutive year, Big Box Storage of San Diego, CA is pleased to announce their sponsorship of the Light the Night walk. 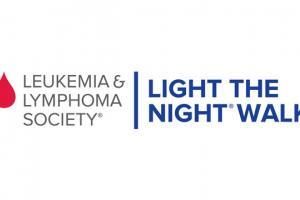 The annual event, which is held by the Leukemia & Lymphoma Society (LLS), is scheduled for 4:30pm on Friday, November 7th,, 2014 at Petco Park in downtown San Diego. The walk helps to raise funds for lifesaving cancer treatment, support, and research. For more information on the event or to make a donation, please visit Light the Night. Big Box Storage Inc., a San Diego-based portable storage company, is offering 30 days of free storage to any individual or family that has been forced to relocate as a result of the fires that have roared through San Diego County over the last week. In addition to the free 30 days of storage, the company will also provide the delivery and pickup of the storage unit to/from the customer’s location at no charge. 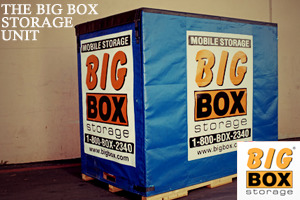 For more information or to schedule a “Big Box” delivery, please contact Big Box Storage at 800-391-4890. $6 billion dollars. Based on reports from the National Retail Federation, that’s the amount that Americans will spend on holiday decorations this year. While Christmas decorations make up the majority of the amount, other holidays such as Hanukah, Halloween, 4th of July, St. Patrick’s Day and others also contribute. 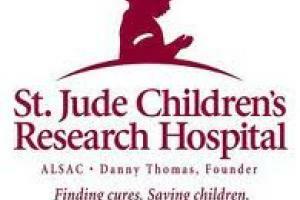 On December 5th and 6th, 2013, San Diego radio DJs John and Tammy of 97.3 KSON spent 38 straight hours live on the air for their annual “radiothon” to benefit St. Judes Children’s Hospital. The event was a huge success and raised over $204,000. Big Box Storage Inc. was pleased to pay a significant role in the event. In addition to serving as a main sponsor, Big Box Storage was also pleased to match 100% of all donations that were made during the last two hours of the event up to a $10,000 maximum.